When it comes to first impressions in the workplace, a clean, tidy office should be your priority. Imagine walking into an office with dusty countertops, stacks of unfiled paperwork and muddy footprints all over the floor. Would that be someplace you would want to conduct business? Now imagine an office with polished floors, clean windows and tidy desks. And the winner is… well, it’s obviously no contest. The clean, organized office is going to take the cake when it comes to first impressions, appearance and attracting possible clients. Furthermore, your employees will be much more organized and efficient in a tidy work environment! At Augie’s Janitorial Services, we pride ourselves on offering the highest quality commercial custodial services in Southeast Michigan. 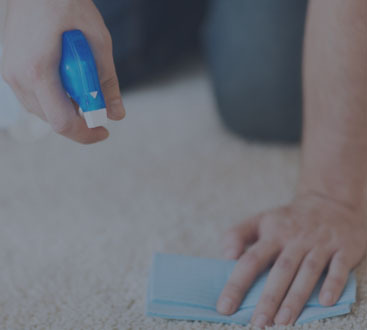 With more than 19 years of experience, our excellent customer relations and thorough, deep cleaning services set us apart from the competition. If you want it clean, we make it spotless. 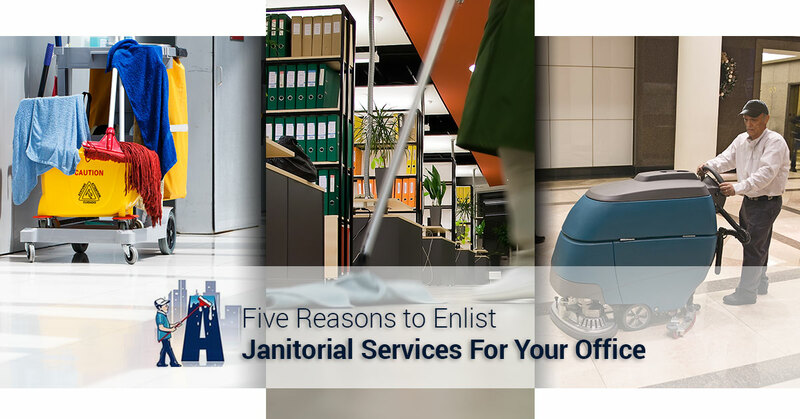 In addition to the obvious benefits of hiring professional cleaning services, here are the top five reasons to hire the Augie’s Janitorial Services team. 1. You do what you do best, and we will do what we do best! Some businesses like to assign cleaning tasks their employees. This is a flawed system, as many employees do not like having to clean bathrooms, empty trashes or dust window sills. If you are a business that requires its employees to clean the office, chances are morale is low and corners are being cut. You hired your employees because they work hard and are experts in their fields. The professionals at Augie’s Janitorial Services excel at maintaining clean offices and workspaces, so allow your employees to focus on what they do best while we focus on what we do best! Rest assured, we will never cut corners and every inch of your workspace will be spotless when the job is over. 2. Don’t let the little details interfere with your busy day. How many times have you gone into the restroom at work only to find the stall is out of toilet paper or the paper towel dispenser is completely empty? Or worse, have you ever seen a potential client exiting the restroom with wet hands and then going to hunt down someone to let them know the paper towel needs to be refilled? Not a great first impression—it’s annoying, inconvenient and definitely puts a hitch in a busy day. 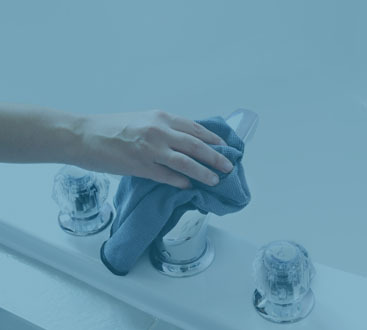 When you hire a professional janitorial team (like the team at Augie’s Janitorial Services) you will never find yourself in a situation where you are out of essential paper goods or other miscellaneous necessities. Day porter services will help you maintain a tidy and fully stocked office throughout the hectic workweek. Don’t let something small like an empty roll of TP interfere with your busy day, call Augie’s Janitorial Services today! 3. Janitors do much more than dust and mop. Professional cleaning companies are well-versed in every aspect of cleaning and properly sanitizing office spaces. Although you may not realize it, there is a lot more that goes into cleaning an office than simply tidying up and taking the trash out! At Augie’s Janitorial Services, we focus on every detail from the top of your office space to the bottom and everything in between. We not only maintain a pristine workspace for you, your employees and your clients, we also ensure the health and safety of your team. When an office is free of dust and other pollutants, the chance of illness decreases drastically, and a happy work environment is the best work environment! If you attempt to clean your own office or assign cleaning tasks to your employees, you are wasting valuable time that could be spent working or at home with family. If morale is low and your employees are cutting corners, long days of “catch-up” cleaning will be frequent and will only keep everyone at the office longer than needed. In addition, professional janitors are expert cleaners and know exactly how to quickly and efficiently clean workspaces, whereas your employees probably do not. A job that may take your team an hour or more to complete might take a professional cleaning team half the time to do. A thorough, quick and efficient cleaning job versus a hurried, half-capacity, minimal effort job—which is more preferable? We know the answer, and we have the solution: Augie’s Janitorial Services! 5. Save yourself money, too! Running a successful business means making money. This involves saving money and appropriately budgeting funds, too. If you are financially savvy, chances are you already see the benefit of investing in a team of expert janitors. If you are still uncertain about spending money on professional cleaning team, consider the following: keeping your employees on the clock to accomplish cleaning duties will cost you money in the long run because they will be working extra hours to complete tasks they are not proficient in. And as previously mentioned, a deep cleaning that may take a janitor an hour to complete will likely take your employees double the amount of time. A professional cleaning team will always do a better and more thorough job of cleaning your workspace, anyway, so save yourself money by hiring a professional janitor. At Augie’s Janitorial, we guarantee our services and will complete every job quickly and efficiently. We put our customers at the forefront of everything we do! Beyond traditional commercial cleaning, we also provide an extensive array of other cleaning and maintenance services. If you are someone who is in charge of running a professional sports venue or fair ground, we offer groundskeeping services as well as facility management and maintenance services. Don’t let the little things stress you out on game day—we will have everything taken care of so you can focus fully on your job. If you are in need of floor cleaning services such as stripping, refinishing or power washing, we can do that too! Upholstery cleaning, carpet cleaning, grout cleaning, restroom cleaning and more—the list goes on and on. 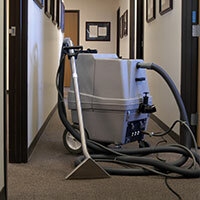 If you are convinced that a professional custodial team is right for your workspace, call Augie’s Janitorial Services! We offer the highest quality services at reasonable and competitive prices. You have nothing to lose and everything to gain, so call today!